Halo 5: Guardians is coming to Xbox One on October 27th, and GameStop exclusive pre-order bonuses have been announced for those that buy the game at the retailer. GameStop customers will get armor based on Spartan Locke’s appearance for use in multiplayer, as well as a helmet. • HUNTER-Class Armor: Sophisticated and lethal, HUNTER-class armor incorporates Watershed Division’s latest warfighting technology. • HUNTER-Class Helmet: Though still considered a prototype implementation, the HUNTER’s sensor suite enhances situational and threat awareness. 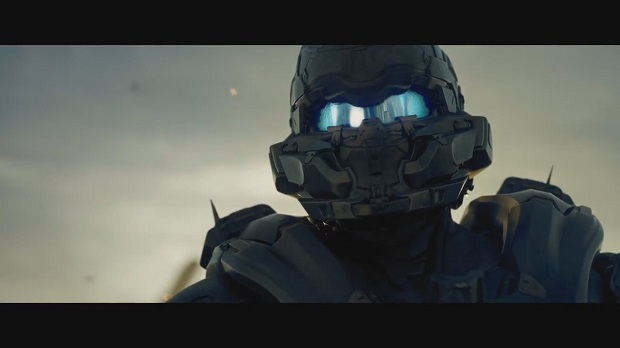 Along with the pre-order bonus announcement, GameStop has an exclusive trailer of Locke in action in a cinematic cutscene showing him fighting Covenant forces. For more on Guardians, check out our thoughts on the game’s recent beta.